Certain dog breeds have been attacked in Europe and, more recently, the USA. Every day we see movements bring made against certain dog breeds. Lately, it has been the Pit Bull Terrier. In years past it has been German Shepherds, Rottweilers, Dobermans, etc. Believe it or not, legislation in the USA regarding dog breed specific legislation appears to be on the decline according to an AKC article written recently. 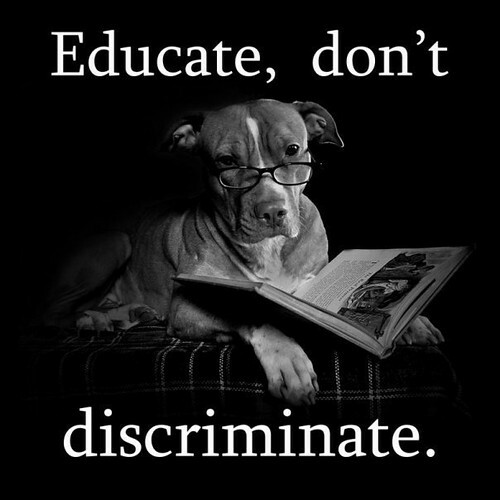 … breed-specific legislation (BSL, for short) is any legislative attempt to ban or place severe restrictions on owners of a particular breed of dog or dogs with certain physical characteristics, regardless of whether or not their particular dog is a problem in their community. Like racial profiling for dogs, BSL summarily penalizes responsible dog owners without holding owners of truly dangerous dog accountable. The AKC plays an active role in promoting breed-neutral policies. Since 2005, the AKC has vigorously opposed more than a dozen state initiatives to enact BSL. Thank goodness the AKC is active in trying to prevent this type of dog breed legislation from happening. I don’t always agree with what they do; but I am certainly on-board with this. Now if we could just do something about irresponsible dog owners, dogs could concentrate on doing what they do best … being our best friend.